Suggesting that it's not easy to replicate this is a gross understatement. Yet under the direction of Jim Mair these Kansas City Kansas Community College students get it done. Impressive. *The Pitch reports that Ray Reed, a prominent figure on Kansas City's jazz scene for decades, has died. *Harold O'Neal is the subject of an expansive NPR feature. *Hearne Christopher's coverage of the situation at Jardine's continued here, here and here. Tony's Kansas City provides a related update here. 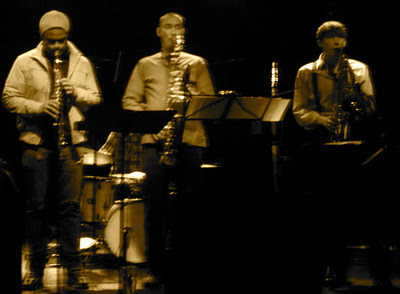 *The December 9 concert by the Black House Improvisors' Collective is available as a free download. *The staff of the Blue Room aids a crime victim. *Jazz figures prominently in Steve Paul's recap of 2011. Tim Finn notes the trend of jazz musicians collaborating with artists rooted in other genres. *KC Metropolis previews a few upcoming jazz concerts. *A New Orleans Style Jazz Funeral March will take place under the auspices of Occupy KC at noon on December 30 at 12th and Oak. *The Magic Jazz Fairy returns to KCJazzLark. *Melissa Treolo wrote a remembrance of Myra Taylor. *Tweet o' the Week: GrunauerKC: Last minute NYE plans: Snuff Jazz, light appetizers & champagne toast in Vienna Zimmer only $20. 10p-1a. Tix available at Birdies or here. "Don't look any further," Louis Neal said as he introduced an interpretation of the Dennis Edwards hit during a November gig at the Blue Room. "You're listening to the best big band in Kansas City." Although I'm affiliated with another of Kansas City's big bands, I didn't even consider raising an objection. I loved hearing what many of the region's best musicians- Clint Ashlock, Gerald Dunn, Charles Perkins and Charles Williams among them- did under Neal's direction during a sleek arrangement of the dusty R&B song. 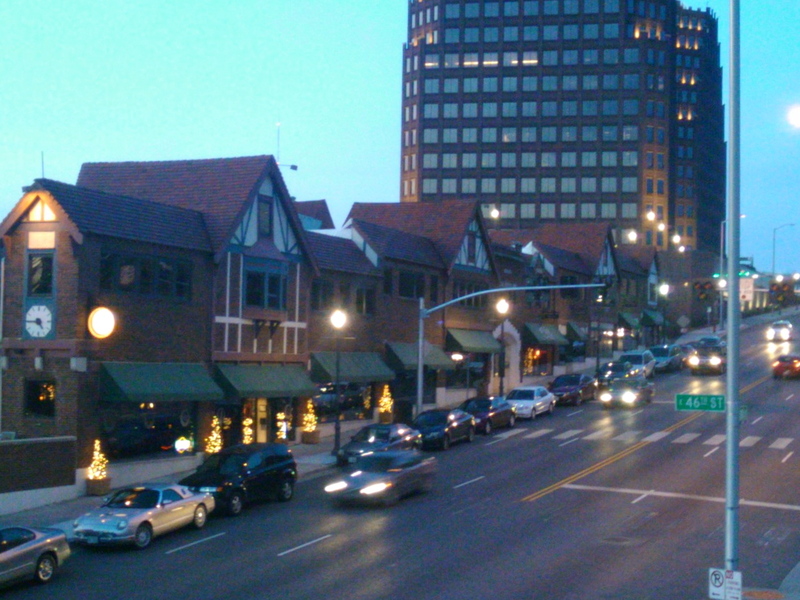 At least ten big bands regularly perform in the Kansas City area. Four different big bands recently appeared in four different venues on four consecutive nights. Area jazz fans are incredibly fortunate. Each of these aggregations has a different sensibility. I can't claim that everything the ensembles perform is entirely fresh, but the recent work of the late Bob Brookmeyer and the influence of acts like Radiohead are welcome reminders that the big band repertoire continues to evolve. Besides, nothing else provides the visceral thrill that can only be produced by a big band. It doesn't rank among her most notable artistic achievements, but the late Myra Taylor made a couple appearances as a character named Pearl on The Jeffersons. She sings with a gospel quartet at the beginning of this 1982 clip. (That's her in the blue dress.) She makes another extended appearance at the 6:37 mark. 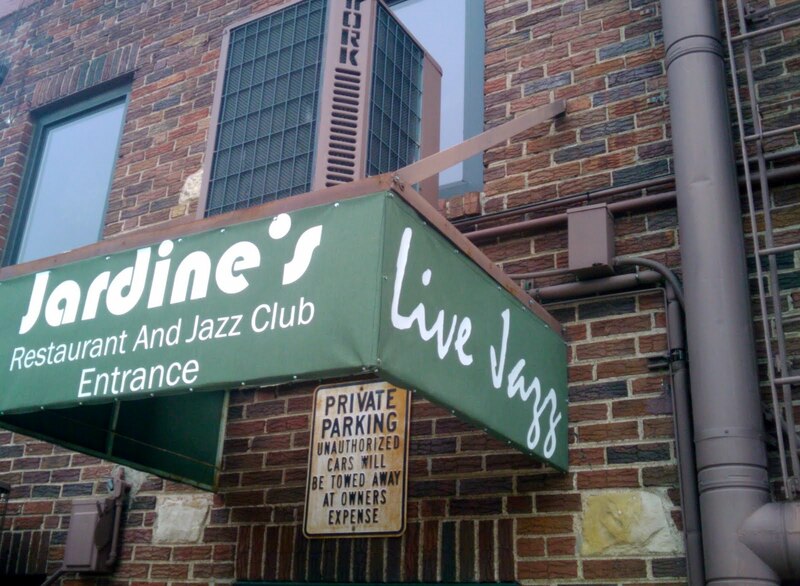 The situation at Jardine's continues to dominate Kansas City's jazz scene. *Tim Finn filed a report. *Tony's Kansas City covers the story here, here and here. *Hearne Christopher provides bulletins here, here and here. *Mark Edelman lobbies for a truce. *Charles Ferruzza has a fresh perspective. *Yael Abouhalkah editorializes about the turmoil among "the small world of KC jazz enthusiasts." *The Kansas City Business Journal took notice. *Kansas City native Bob Brookmeyer died December 15. He was 82. The New York Times, the Los Angeles Times and the Guardian offer obituaries. Doug Ramsey is hosting a dialogue about Brookmeyer's contributions. *Tony Botello suggests that a notable trend was overlooked in Plastic Sax's year-end survey. He has a point. 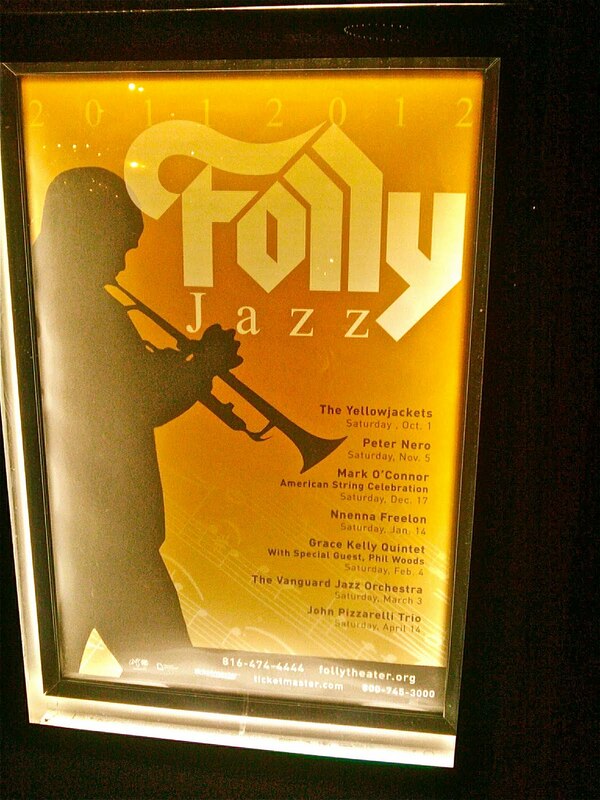 *Libby Hanssen reviewed Mark O'Connor's concert at the Folly Theater. *Seven jazz albums are recommended by KCJazzLark. *Wayward Blog reports that Kansas Public Radio will broadcast a recent holiday concert by The Kansas City Jazz Orchestra. *An appearance by Bobby Watson is mentioned in an recap of the year in jazz in Ireland. *Tweet o' the Week: mattwilsonjazz: Bob Brookmeyer was truly a hipster! 1. The well has been poisoned. In any dispute the intensity of feeling is inversely proportional to the value of the issues at stake. -Sayre's law. It breaks my heart that the Kansas City jazz scene has been poisoned by the ongoing difficulties of a single jazz venue. Hidden agendas, ulterior motives and open threats have become the order of the day. No matter how the situation at Jardine's plays out, it's going to take a long time to heal the wounds generated by this unfortunate saga. 2. Open and shut. It's been another tough year for the area's jazz venues. Questions continue to swirl around Jardine's and 1911 Main. Closed or in the process of closing: Benton's, Cafe Augusta, GiGi's Jazz Inn, Intentions and Skies. It's not all doom and gloom. 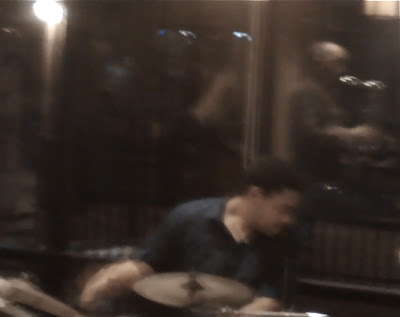 The commitment to serious jazz at Take Five Coffee + Bar in Leawood has been an exceptionally bright exception in 2011. 3. The rising tide lifting all boats The first thing this correspondent heard in Helzberg Hall during the grand opening celebration of the Kauffman Center for the Performing Arts in September was Bobby Watson leading an all-star big band. Absolutely perfect! The People's Liberation Big Band and the Jazz at Lincoln Center Orchestra are among the jazz acts I've since witnessed in the beautiful room. Here's hoping jazz giants like Ornette Coleman, Charlie Haden, Brad Mehldau and Matthew Shipp will soon find their way to the celebrated new venue. 4. The underground bubbles up. Conservative programming still draws the largest audiences in Kansas City, but forward-thinking jazz continued its climb towards mainstream respectability in 2011. The People's Liberation Big Band and Alaturka are among the adventurous jazz acts that have already appeared at the Kauffman Center. Daring acts including Sir Threadius Mongus, Black House Improvisors' Collective and Flamenco Mio received institutional support from foundations in 2011. Diverse, Kansas City's best-known young jazz ensemble, sounds increasingly progressive. Collaborations with hip hop artists have become the norm rather than a novelty. 5. So much music. Kansas City's current jazz scene almost certainly ranks among the top 15 most compelling environments in North America. Hometown talent including Deborah Brown, Jerry Hahn, Jeff Harshbarger, Will Matthews, Hermon Mehari, Matt Otto, Gerald Spaits, Bobby Watson and Bram Wijnands makes the quality of life pretty sweet for the city's jazz fans. And check out a partial list of international talent that played in the area in 2011: Ambrose Akinmusire, Karrin Allyson (twice), Norman Brown, Gary Foster (twice), Benny Golson, Herbie Hancock, Jacob Fred Jazz Odyssey, Diana Krall, Julian Lage, Joe Lovano (twice), Ellis Marsalis, Marilyn Maye, Christian McBride, Pat Metheny, Preservation Hall Jazz Band, Dianne Reeves, Return to Forever, Arturo Sandoval, Steely Dan, Jack Walrath and Anthony Wilson. 6. Festival winners. This year's Rhythm & Ribs Jazz & Blues Fest was an unqualified success. The 2011 edition of the Jazz Winterlude festival at Johnson County Community College did a nice job of showcasing local talent in a concert setting. 7. Festival loser. The unlikely triumph of the inaugural Prairie Village Jazz Festival in 2010 astounded everyone. The staggeringly brilliant bill booked for this year's event promised even greater rewards. Alas, it was washed away by a violent storm. 8. Jazz heaven. Kansas City jazz icons Bob Brookmeyer, Pearl Huston-Brown Tony DiPardo, Frank Foster, Myra Taylor, Nancy Van Fleet and Snooky Young died in 2011. 9. Alaadeen's absence. The residual effects of the death of Kansas City jazz great Ahmad Alaadeen in 2010 are still being felt. The lack of his involvement resulted in pitiful attendance at the annual Charlie Parker graveside service. Yet the posthumous publication of Alaadeen's oral memoirs helped keep his memory alive. 10. Passing the baton. From all outward appearances the recent transitions at Kansas City Youth Jazz bodes well for the vital organization. It moved its base to Penn Valley Community College and appointed Clarence Smith as its new musical director. Thanks to the ongoing influence of Leon and Linda Brady, I frequently see kids associated with Kansas City Youth Jazz voluntarily attending jazz events. I can't remember my excuse for not attending Farm Aid at Livestrong Sporting Park on August 13. At least I don't have to wonder how Hearts of Darkness fared in its opening slot. It's weird seeing the band on such a massive stage. Lest jazz purists protest Plastic Sax's ongoing endorsement of the band, I'll remind skeptics that in 2009 I suggested that "Hearts of Darkness convey the spirit, if not the sound, of Kansas City's (jazz) heyday." The band performs Saturday, December 17, at the RecordBar. *Hearne Christopher confirms that Jardine's has reopened. He also wrote updates about the status of the jazz club here and here. *Tony Botello continues to chronicle the saga here, here, here, here and here. *A former Jardine's employee suggests that she was assaulted by her employer. *Craig Glazer offers his two cents. *I'm unable to authoritatively verify troubling reports about the status of 1911 Main. *From Doug Talley: This Friday, Dec. 16, 7:00-10:00pm, will be your last chance to hear Doug Talley and Rod Fleeman at Cafe Augusta which will be closing their doors at the end of the month. Join us for one final evening of good music and food! *The Nutcracker and the Mouse King, the new album by The People's Liberation Big Band, is available now. The ensemble appears with the Owen/Cox Dance Ensemble of the ballet's current run at the H&R Block City Stage Theater in Union Station. 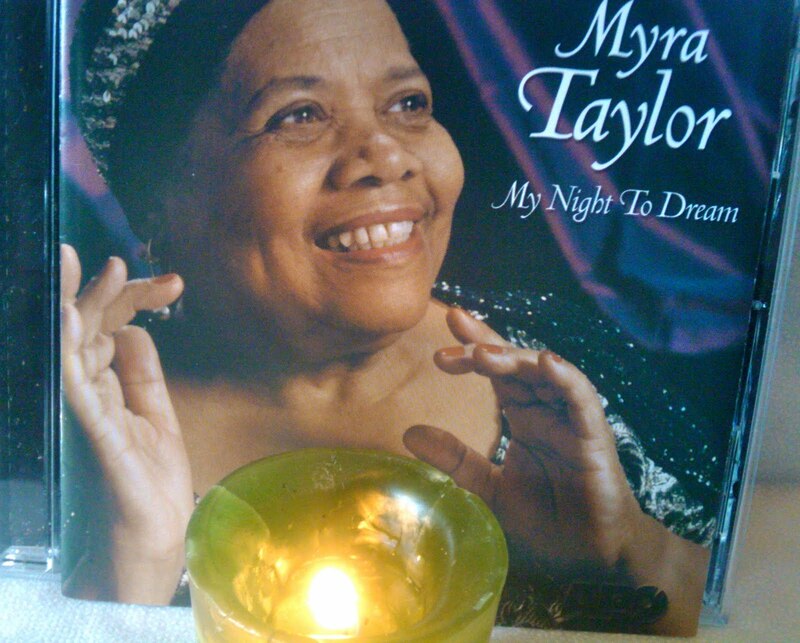 *Myra Taylor is remembered by KCJazzLark. *A residential renovation project in the Jazz District has commenced. *The new blog of the American Jazz Museum features an interview with Danny Embrey. *Danny Alexander reviews a post-Mavis Staples show by Snuff Jazz. *Pat Metheny and Chick Corea share their appreciation of Gary Burton. *Chuck Berg reviewed a concert in Topeka by Sara Gazarek and Josh Nelson. *Tweet o' the Week- clintashlock: I think if someone asked me to explain joy, I'd play them a recording of a Stevie Wonder harmonica solo. *From an American Jazz Museum press release about the MCC-Penn Valley 18th & Vine Jazz Festival: Presented in partnership with MCC-Penn Valley, this festival is a non-competitive event providing middle school, high school and collegiate level students with an opportunity for increased experience and understanding of American jazz. All participating students will have opportunities to interact with internationally acclaimed jazz artists, local professional jazz musicians and distinguished educators as well as perform in two of the American Jazz Museum’s world renowned venues – the historic Gem Theater and the Blue Room jazz club. When Plastic Sax was founded in 2007, Myra Taylor was one of this site's initial subjects. How could it be otherwise? With her outsized personality, active performance schedule and ties to Kansas City's illustrious past, Taylor was among the region's most prominent acts. Taylor died Friday. Tim Finn wrote a thorough obituary. KCUR offers an invaluable report. A television bulletin suggests that "Taylor was considered the last living legend of the great age of Kansas City jazz." A press release from the American Jazz Museum noted that Taylor was a recipient of the institution's Lifetime Achievement Award. Although it lacks the vigor of old tracks like "Take It Easy, Greasy", I stand by my assertion that Taylor's late-career album My Night To Dream ranks among the Top Ten Kansas City Jazz Recordings. Taylor's status may have been appreciated by music historians and nerdy jazz bloggers, but she never achieved true celebrity status. This video encapsulates the public's indifference to Taylor's legend. And I'll confess that even I eventually tired of Taylor's schtick. What I wouldn't give to experience it just one more time. Here's an idea: What if just one out of every ten people who are publicly fretting about the status of jazz clubs on Main Street took a break from complaining on Saturday and went to see a jazz band perform at 18th & Vine? Not only would the Blue Room be packed, people might be reminded that music is far more compelling than the peccadilloes of club owners. Boxcar claims to combine "the panache of New Orleans, and the drive of New York City, with the free-spirited, underground jazz of Minneapolis." *Tony Botello notes the story here and here. *Hearne Christoper covers the story here and here. *A television reporter filed a story. *Here's a take sympathetic to Jardine's former staff. *A former employee created a Help the Jardine's 15 Have a Merry Christmas Facebook group. *KCJazzLark prudently looks at the big picture. *The Star reports that the Terpsichore installation in the garage at the Kauffman Center made its official debut last week. It contains a contribution from Bobby Watson. *Pat Metheny's What's It All About received a Grammy nomination in the Best New Age Album category and Karrin Allyson's 'Round Midnight is up for Best Jazz Vocal Album. Here's the complete list of nominees. 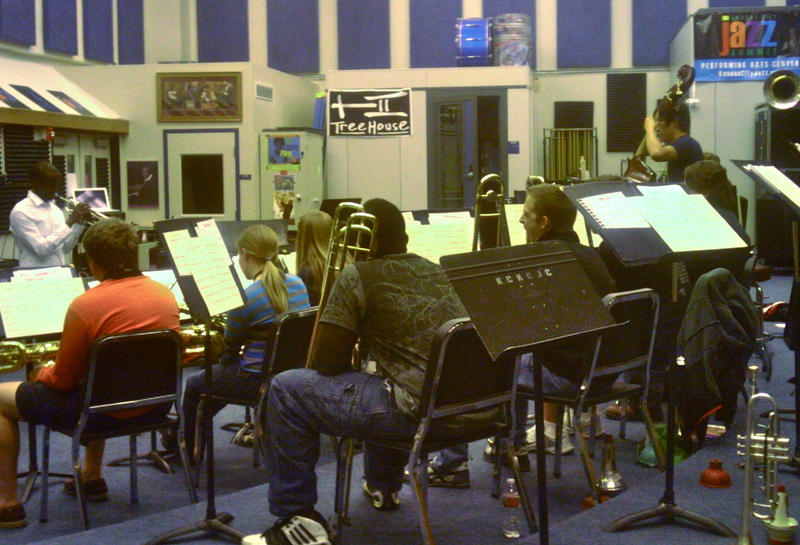 *Patrick Neas cites The People's Liberation Big Band's version of The Nutcracker Suite. *Brad Cox is interviewed by The Pitch. *Charles Ferruza laments the shuttering of Benton's and Skies, two restaurants that featured live jazz. *Leah Sproul Pulatie is interviewed at the site of the Black House Improvisors' Collective. *Phonologotronic shares his appreciation of Nine Inch Nails. *Locally-based jazz critic Chris Robinson posts his top ten albums of 2011. *David Basse hosted a celebration of Mike Melvoin's career in California. *A new version of the Charlie Parker-inspired Super Sax concept has sprung up in New Mexico. *Joe Klopus reports that an injury will prevent Kevin Mahogany from performing with The Kansas City Jazz Orchestra this weekend. *From KTWU via Sue Vicory: The documentary Kansas City Jazz & Blues: Past, Present & Future will be aired on January 1, 2012 at 4:55pm. It is repeating on our digital channel 11.3 (KTWU Enhance) on Friday, January 6th at 7pm. 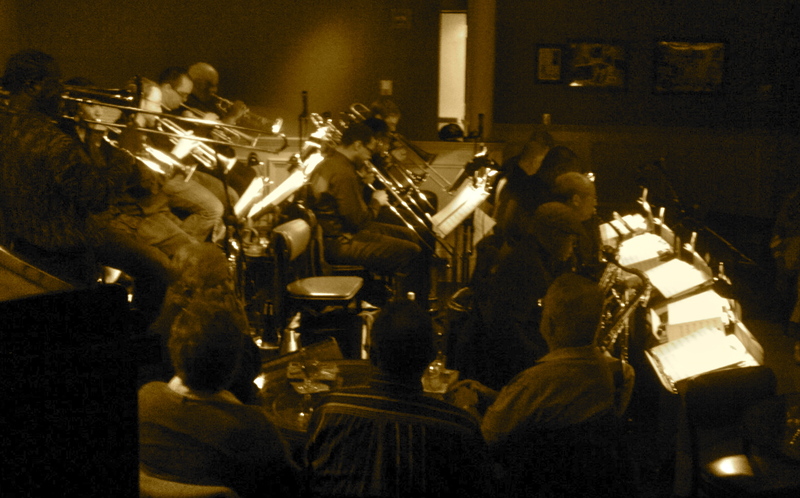 *From Michael Pagan: Reflections of Jazz Trilogy Receives Encore Presentation In The Blue Room December 15th. Jazz pianist/composer Michael Pagán will join forces with bassist Bob Bowman, drummer Ray DeMarchi, and saxophonist David Chael for a reprise performance of three jazz compositions inspired by artwork recently shown at the American Jazz Museum. Although Plastic Sax began in 2007, this site's initial top ten lists were posted in 2010.